Utah has a lot to offer college students this summer. If you are taking summer classes, staying in the state or haven’t made any major plans yet, this list is for you. During the next couple months, Utah will be holding several fun events that you and your friends do not want to miss out on. On May 19, in Grantsville, the movie “Tangled” will be brought to life. 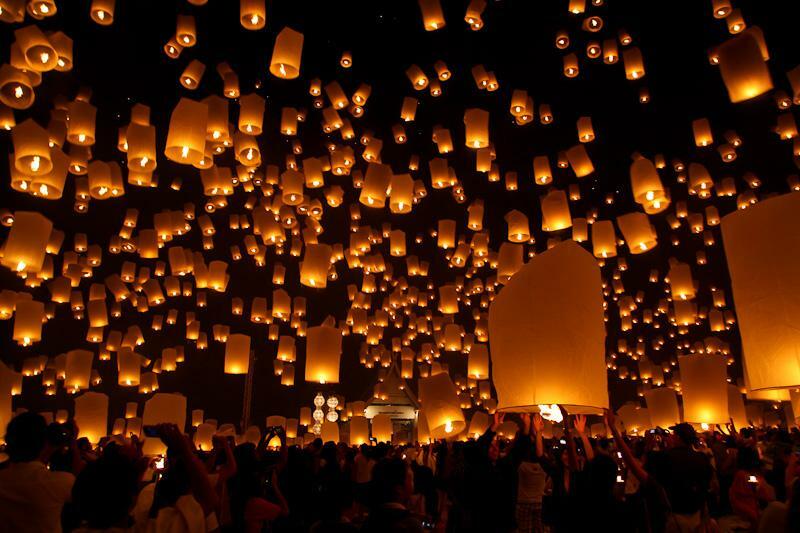 In an open field, hundreds will come together to enjoy live music, campfires, games and a lantern ceremony where festival patrons will light and release a lantern. Get your tickets soon! Prices raise the longer you wait. For all of you runners out there, and for those who like to get dirty, you have to check out the Dirty Dash. On June 9 at Soldier Hollow in Midway, a huge obstacle race will be set up filled with mud pits, waterslides, haystacks and slippery bouncy houses. This is fun for the whole family! It is not a timed race and people have the option of running, swimming or walking for five or ten kilometers. It’s a great way to cool off from the summer sun and a great excuse to play in the mud. Tickets may be pricey, but Keith is worth it. On July 13 at USANA Amphitheatre in West Valley, the famous country singer will be rocking an outside concert. Audiences can bring blankets and a picnic while listening to this amazing singer’s vocals. Tickets are selling out, so get yours quick! For those of you who are into cars, you might want to look into this event held on July 27 at Rocky Mountain Raceways in West Valley. Not only will you get to see race cars in action for cheap, but you will also have the opportunity to see the cars and meet the drivers up close. Motorcyclists will also be competing. Make sure you buy popcorn for this event. It’s sure to keep you on your feet. On July 28 at Deer Valley Music Festival, the Utah Symphony will be performing many public favorites such as “Jurassic Park,” “Harry Potter” and “Star Wars.” What better way to hear the music of these incredible films than live under a starry sky?